Lots of folks think that Cleveland Browns RB Peyton Hillis deserved to be in the Pro Bowl. The talent pool in the NFL increases each season, causing the voting for the league’s best to participate in the Pro Bowl to be more difficult. Voters base the majority of their decisions on stats and even with the fans, coaches and players participation in the voting process, outstanding athletes get overlooked because of their teams’ poor records and because they are not household names. This was probably why Browns running back Peyton Hillis was over looked. Arian Foster is completely deserving of his honor because he leads the league in rushing with 1,436 yards and all running backs in receiving yards with 594. Jamaal Charles and Maurice Jones-Drew had great seasons, but did Hillis get a fair shake during the voting? 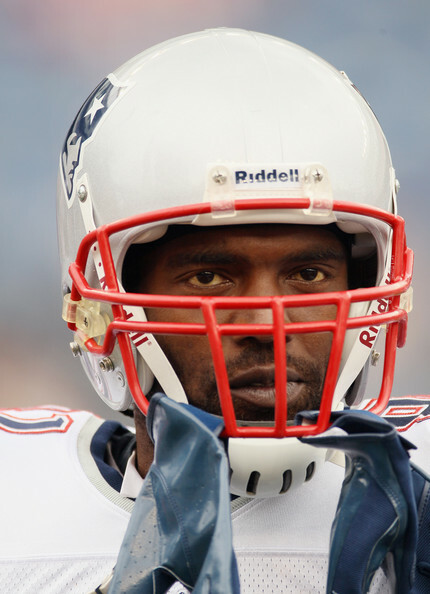 The New England Patriots started to roll after trading Randy Moss. In one of the most stunning early season trades ever witnessed in the league, the Pats dealt future Hall of Fame receiver Randy Moss to the Vikings for a third-round draft choice. It sure looked like Belichick was cashing in his chips. How could the Pats be better without Moss? In time, the answer came. Soon after Moss was dealt, the Pats re-acquired an old friend, Deion Branch, who was part of two of the three Super Bowl championships. The wide receiver shared a special chemistry and bond with quarterback Tom Brady, and it didn’t take long before that connection was rekindled. The Calgary Flames announced the resignation of Darryl Sutter as GM. Calgary Flames fans cried tears of joy yesterday. Darryl Sutter did not. Darryl Sutter stepped down as GM of the Calgary Flames Tuesday morning and assistant GM Jay Feaster will take over in the interim. The Flames made the announcement just as the players took to the ice for practice. “Darryl has performed valuable service to the Calgary Flames organization for eight years,” said president Ken King. “He was the leader that ignited a renaissance of Flames hockey, moving us from a non-playoff team to an organization that was viewed as a respected and popular contender each year. LeBron James of the Miami Heat claims to not have known what the word ‘contraction’ meant until the internet told him. LeBron James might as well wear a dunce cap, because the world now knows how stupid he actually is. The San Diego Chargers were eliminated from playoff contention after losing to the Cincinnati Bengals, but they won’t be making any changes. Norv Turner hoped that the San Diego Chargers wouldn't choke against the Bengals, but they did. The easiest thing in the world is to start over. Who the hell do I go hire? Blow the whole thing up? We’re a pretty good team but we have to make the right moves. We’ve fallen. It could have been our draft picks or our free-agent moves. But we have a good core, and I don’t care what anybody says. I’m not afraid to make changes. If I thought it was warranted, I would do it. We have a good foundation here. LeBron James of the Miami Heat wishes he didn’t call for the NBA to contract the Timberwolves and Nets. LeBron James of the Miami Heat won't cry over spilled milk, no matter how stupid he sounds when he talks. LeBron James won’t be president of the player’s association anytime soon. James said this week he thought contraction would be a “great” idea, ignoring the fact that contraction would cost some of his colleagues their jobs. James, though, thinks that’s a great idea, too. Then the league wouldn’t be as watered down as it is now. While fans around the country were upset to see James join Dwyane Wade and Chris Bosh in Miami, James is hoping even more superstars can team up on other teams. Katchop.com wishes everyone a Merry Christmas, and so does Rex Ryan. An off day for the New England Patriots? Bah Humbug! Bill Belichick is no Scrooge, but the New England Patriots don't slow down for holidays. The Washington Redskins seem to like Rex Grossman. People are getting surprised by Rex Grossman passes. After Grossman’s four-touchdown, three-turnover show in a 33-30 loss to Dallas on Sunday, the Washington Redskins coach said, “I understand this game, and I understand how it works.” That got noticed. Ndamukong Suh is making the Detroit Lions very happy. Ndamukong Suh likes being a Detroit Lion. Lions coach Jim Schwartz was a defensive assistant in Tennessee when Jevon Kearse set a rookie record with 14.5 sacks in 1999. Schwartz rates Suh as the better rookie. “I’ve never seen a guy like Ndamukong that’s come in and not only physically not had an issue, but he’s gotten better every week,” Schwartz said in a conference call. 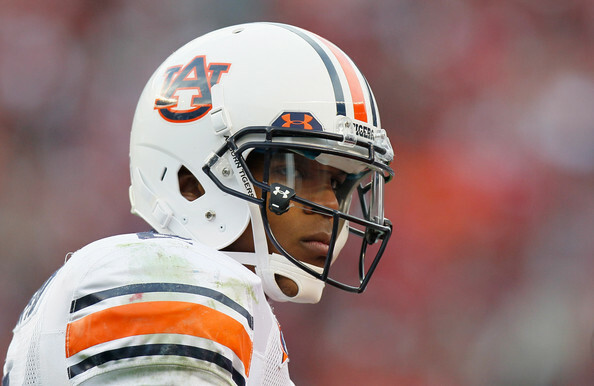 “You see offenses treat him the way that they do perennial Pro Bowl players. You see the respect already on film from offenses, so you know they think he’s a good player. The New England Patriots are heading to the playoffs. Tom Brady of the New England Patriots celebrates a TD. They were outgained Sunday night by 120 yards, held the ball for fewer than 20 minutes and watched the key to their success, Tom Brady, absorb his third straight three-sack game. The Patriots still held off the Green Bay Packers 31-27 for their sixth straight victory. But for a coach who says the statistic that overrides all those negative numbers is a higher point total than the opponent, Bill Belichick was very concerned about his team’s performance. He said it was disappointing that the Patriots couldn’t handle a lot of the basic things that the Packers did. The Chicago Bears and the Minnesota Vikings are getting set to play outdoors on Monday night. Fans of the Chicago Bears, like the guys from The League, are headed to Minnesota to watch an outdoor game. The Pittsburgh Steelers and the New York Jets face each other on Sunday. 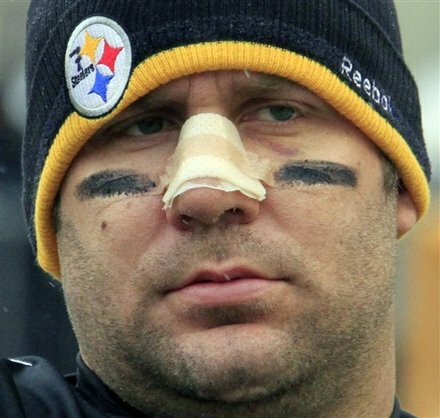 Steelers' QB Ben Roethlisberger is wearing some interesting protection for his broken nose. The Jets, with their power running scheme, and quarterback who’s as green as his jersey, match up very poorly with the Steelers defense. Until you remove SS Troy Polamalu from the equation. A weakened Steelers defense could give the Jets a reason for hope, but when you factor in a key injury to RT Damien Woody, as well as the circus-like atmosphere surrounding the Jets this week, it’s difficult to predict how this will pan out. Defense on defense in this week’s PZB, some stats that show great defense, bush-league tactics and the return of our former XLIII Hero. Bruce Boudreau, coach of the Washington Capitals, is kind of crazy on HBO’s 24/7. Bruce Boudreau of the Washington Capitals likes ketchup. Between elbowing the glass and freaking out on the bench during his team’s current losing streak, it’s no wonder the Capitals have little to no composure when they are forced to play from behind. In the event of a fire or an emergency, Boudreau is the last guy I would want being in charge of the safety of people’s lives. (That and the fact in one of his Real World-like confessions, he had either ketchup or barbeque sauce all over his face). The Tennessee Titans will look different next season, as either Jeff Fisher or Vince Young will likely be gone. If Jeff Fisher survives, could he look to replace Vince Young with Cam Newton as the Titans QB? Jeff Fisher fancies himself a player’s coach, but he’s lost the feud with Vince Young. Indeed, if he’s such a player’s coach, Fisher would have taken note of the fact that he’s lost this locker room. That the Titans are en route to nine consecutive losses to finish off the 2010 season. If Fisher had kept his mouth shut in the locker room, VY would be rehabbing and the team’s subsequent collapse wouldn’t be placed at his feet. Titan fans would wait another season to see if Young will finally become a franchise quarterback. But instead Fisher picked a fight and lost his team. Now it’s time for him to go. For now, John Skelton is the starting QB of the Arizona Cardinals. The Arizona Cardinals are not afraid to start John Skelton. He did a lot of things rookie quarterbacks do,” Whisenhunt said, “as far as mistakes, play calls in the huddle that were incorrect and had to be changed. All those things are what you expect. The Washington Redskins are making changes. Graham Gano of the Washington Redskins may be changing his last name to Ganogood after missing several field goals on Sunday. Smith figured someone would lose his job for the botched extra-point attempt that cost the Redskins a shot at overtime against Tampa Bay. And not surprisingly, Smith, who failed to catch the snap while holding on the play, was informed Tuesday that the Redskins had released him and signed Sam Paulescu to replace him as their punter and holder. “Honestly, nothing surprises me after 12 years playing NFL football,” Smith, who was in his second season with Washington, said in a phone interview. The Chicago Bears are regrouping. 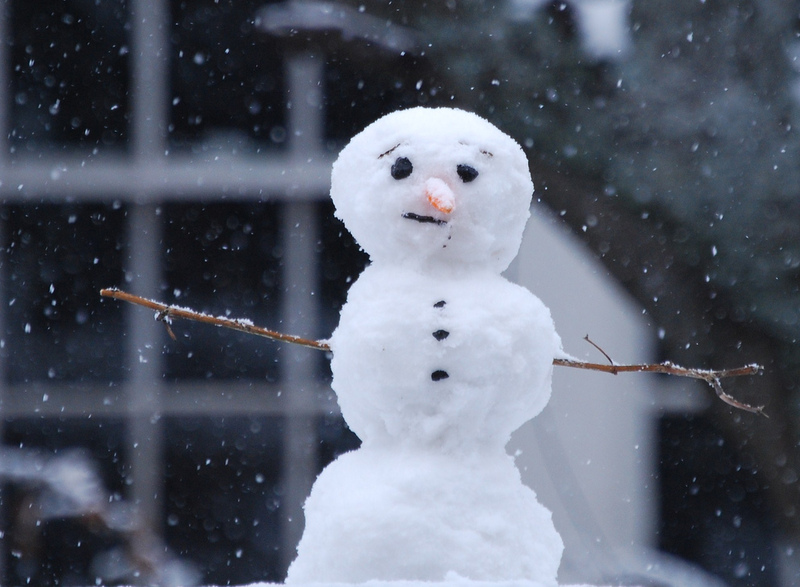 Lovie Smith of the Chicago Bears passed the time in the 4th quarter on Sunday by making a sad snowman. The Bears had a handful of losses last season like the one they suffered against the Patriots on Sunday, so it’s not as if it has been so long since they have had to sift through the wreckage. Making the recovery easier Monday at Halas Hall was the reality that as wide as the gap between the teams is, the Bears remain atop the NFC North and if the season ended today they would be the No. 2 playoff seed in the conference. Matt Carkner of the Ottawa Senators is in trouble for flicking blood. Matt Carkner of the Ottawa Senators likes the smell of blood. As Carkner skated away, he appeared to flick or make a blood-flicking gesture towards the Rangers bench. Rangers players claimed that Carkner did in fact flick blood at them, according to the Ottawa Sun. Can The Rangers Keep Lee? 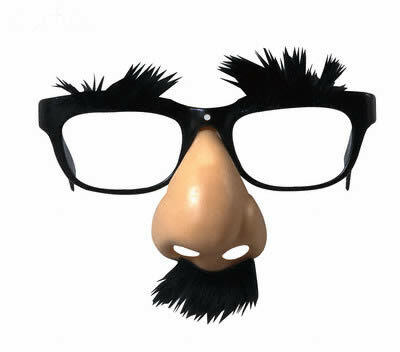 The Texas Rangers are making an all out effort to stop Cliff Lee from heading to the NY Yankees. Some people are acting like Cliff Lee is already a member of the New York Yankees. The Yankees reportedly have a seven-year offer worth approximately $160 million on the table for Lee. That offer is believed to be more lucrative in terms of dollars and years than the Rangers’ offer, which was made in person to Lee in his hometown of Little Rock, Ark., on Thursday. SI.com reports one of the Rangers’ offers includes an option for a seventh year. However, there is no guaranteed seventh year from Texas. Yankees general partner/co-chairman Hank Steinbrenner spoke to The Associated Press on Friday and expressed confidence in his team’s offer. The Dallas Cowboys want Tony Romo back before the end of the season. 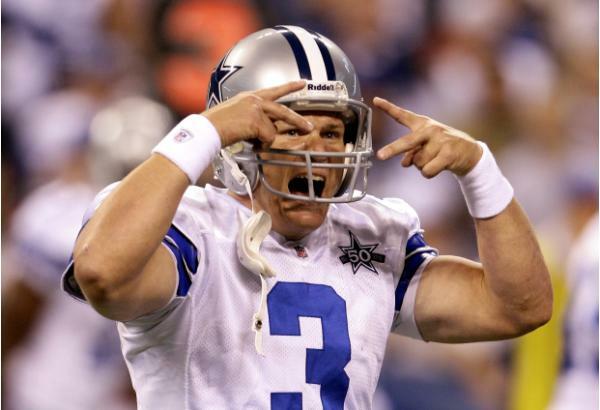 Jon Kitna has done a decent job of impersonating Tony Romo, but Dallas Cowboys owner Jerry Jones want his star QB back. Dallas Cowboys owner Jerry Jones wants Tony Romo to play again this season, even if the playoffs are a long shot at best. He just wants his star quarterback to get back on the field. Romo has been sidelined since Oct. 25 when he broke his collarbone in a loss to the Giants, and would only be able to return for the team’s final two games, at Arizona on Dec. 25 and at Philadelphia on Jan. 2. Amare Stoudemire has been dominant for the New York Knicks. Amare Stoudemire has played like the Hulk for the NY Knicks this season. This much you probably know, or are starting to realize about Amare Stoudemire: He is playing the best basketball of any big man in the NBA right now, he is looking like the single best free agent signing of the ballyhooed class of 2010, and he is already a strong candidate for MVP consideration — something the Madison Square Garden crowd alerted him to with a chant of those very letters Wednesday night. The Pittsburgh Steelers claim that some Baltimore Ravens played dirty on Sunday. TJ Houshmandzadeh of the Baltimore Ravens gets the business from a few of the Pittsburgh Steelers on Sunday night. Chester fired off the line to hit Harrison — which offensive linemen aren’t taught to do on field-goal and extra-point tries because doing so opens gaps in the blocking wall — after Joe Flacco’s 14-yard touchdown pass to Anquan Boldin during the first quarter of Pittsburgh’s 13-10 victory. Harrison, who said he twice ran over Chester on plays before the incident, was asked if it was a cheap shot. The New York Giants have depended heavily on their running game. Brandon Jacobs and Ahmad Bradshaw have become a true 2 headed monster for the NY Giants. While Bradshaw was given the bulk of the work as he topped 1,000 yards for the first time, Jacobs, in coach Tom Coughlin’s doghouse two months earlier, was the star, rumbling for 103 yards and two touchdowns on just eight carries. The New England Patriots and the New York Jets battle to the death tonight. Bill Belichick is still a hungry coach. You can debate whether Monday night’s Jets-Patriots game qualifies as a must-win, but there is no doubt that its result will go a long way in determining the fate of both teams, who have the Super Bowl in mind. Overhyped or not, this is a game you’re going to want to pay attention to. I’m at the stadium tonight with my Times colleagues Greg Bishop and William C. Rhoden bringing you live updates and analysis before, during and after the game in Foxborough, Mass. Did the NFL look after it’s own interests first when deciding how to handle Andre Johnson? Andre Johnson walked away with a knockout over Cortland Finnegan last Sunday. In Johnson’s case, his next game was a couple of days later, Thursday night on the desperate-to-be-demanded NFL Network, the league’s own baby and hopeful big money-maker. The Eagles, Thursday, were an eight-point favorite, at home against the Texans. Without Johnson, what was not expected to be a close game — one that would keep viewers glued while causing heat on cable systems that don’t carry NFLN — stood a greater chance of being a blowout. Johnson is that kind of player. We know it; the NFL knows it. Am I suggesting that the NFL’s proprietary TV business entered the thought process through which Johnson (Finnegan, too) was spared a certain suspension? Yes, I’m suggesting that. I’m not claiming that because I don’t have proof. But the NFL long ago taught us that if we’re looking to find the answers, follow the money. The Sacramento Kings are disappointing their fans. After losing to the Lakers by 30, Sacramento Kings' coach Paul Westphal gets ready to give his players a lesson in shooting. The Kings were uncompetitive in Los Angeles as the Lakers ran through Sacramento to the tune of a 33-point win. The Kings were in the game for about 21 minutes of game time; there are 48 minutes in an NBA game, and that means about 27 of those minutes were not particularly entertaining. The Kings did not take good shots, make good passes, make good decisions or plays off the dribble or make good defensive rotations. The Kings failed to put any pressure on the Lakers’ offense — if L.A. wanted to shoot from any particular spot on the floor, they could have, because the Kings were either powerless or unwilling to stop it. The Denver Broncos have lost 16 of their last 21 games. There’s been so much talk about the downfall that is now 16 losses in the past 21 games, that it’s difficult to remember the beginning. Does McDaniels ever think that somewhere inside his last-place AFC West team is a team that once went 6-0? “That’s a great question,” McDaniels said today at his press conference. “There’s a lot of questions in there. I think last year is last year, and this year is a different year. Any time you come in and you change systems and change philosophies and some of the ways you prepare, I think sometimes it takes some time to acclimate everybody to those changes. LeBron James and the Miami Heat will be venturing into Cleveland at their own risk. LeBron James returns to Cleveland, probably because there are a few Cavaliers fans left that he hasn't sucked the blood out of yet. This homecoming king won’t be crowned or applauded, for sure. Not this time. On Thursday, James will be surrounded—20,000 against 1. The same crowd he once thrilled will be outwardly hostile and hateful toward him, but hopefully, harmless. He’ll be booed, taunted and subjected to ridicule beyond his imagination. Steve Johnson is taking some heat for blaming God for a bobbled catch. 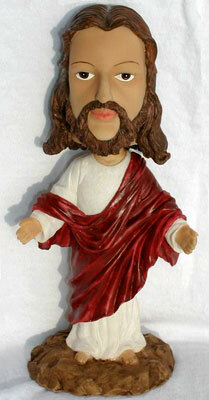 Steve Johnson and his bobblehead Jesus. And then there’s Steve Johnson, a wide receiver for the Buffalo Bills, who took to Twitter in righteous wrath at the heavens after dropping a crucial pass in overtime, which resulted in a 19-16 loss to the Pittsburgh Steelers. So the butterfingered play was God’s fault. The media quickly made hash of Johnson, and he ended up on smug Anderson Cooper’s Rudicilist.